Another power supply went pop. That is two in one and a half years. I bought another 1U power supply, this being the third brand now. The one that went pop is still under warranty, so I'll contact them this week and may have a cold spare. 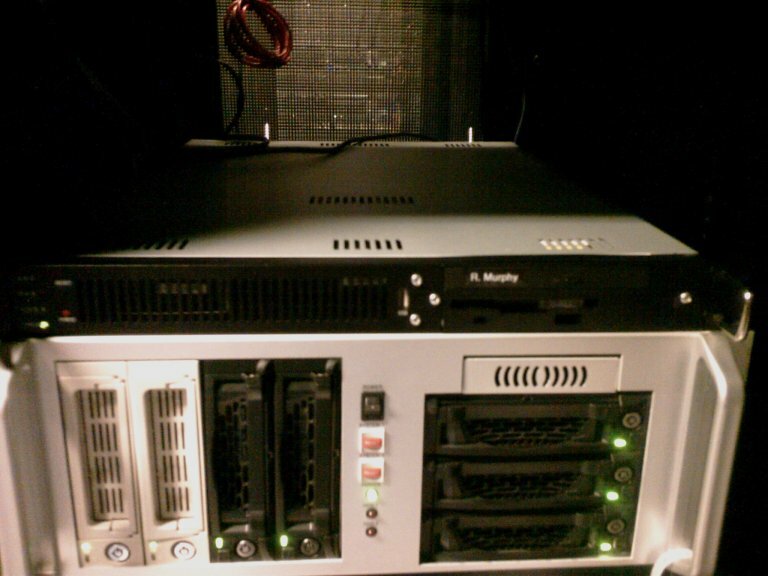 As a bonus, since SS Forums can't seem to keep themselves online, here is the 1U server sitting in the cage, laying on top of a coworker's box. Previous power supply pop. And the possible reason why the power supplies keep dieing.